How Much Do You Really Know About Pinball? Home > Fun > How Much Do You Really Know About Pinball? 24 Oct How Much Do You Really Know About Pinball? While there has been countless games that have come and gone in arcades, there has not been anything quite like pinball. The classic arcade game of pinball dates back to the 1800s. Beginning as a game that required constantly lifting and tilting the table, it has evolved into the bright, action-filled game we know and love today. Because this game is so historic, there are a lot of things many of us don’t know about it. The arcade industry changed completely when pinball came around! Before this game, we stuck to more simple ways to have fun. Pinball is the first coin-operated machine in America. In the game’s early years, Ballyhoo was the first company to include coins in their pinball machines. This started a revolution for coin-operated games. Pinball became extremely popular in the 1930’s during the Great Depression, due to low playing costs. 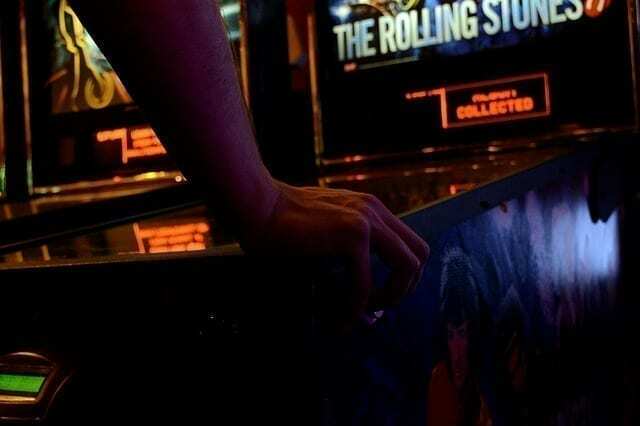 This arcade game caused quite the controversy in America. In the 1940’s and up until around 1976, pinball was banned from major places like New York City, Los Angeles, and Chicago. This was because the pinball table back then did not have flippers yet. This made the game more about chance, not skill. Some considered this game to be connected to gambling. Also, churches and schools were against it, as it encouraged children to steal coins to play. Prohibition-type raids were held all across the country to get rid of these games. As the 90’s approached and our society became more familiar with computer programming, pinball machines began to get more creative. March of 1992 was a groundbreaking time for the game of pinball, and we can thank a famous film for that. With more than 20,000 units sold, The Addams Family pinball machine is the highest selling pinball machine in history. Combining pop culture, the table’s great game play, and modern gaming technology; The Addams Family pinball machine was the ultimate success. No matter at what age, pinball is a timeless game that everyone enjoys. Bring the arcade into your home! We have a wide variety of pinball machines that’ll bring you back to your childhood.